Spongebob Crazy Fan Art. . HD Wallpaper and background images in the Spongebob Squarepants club tagged: spongebob squarepants cast crazy fan art. 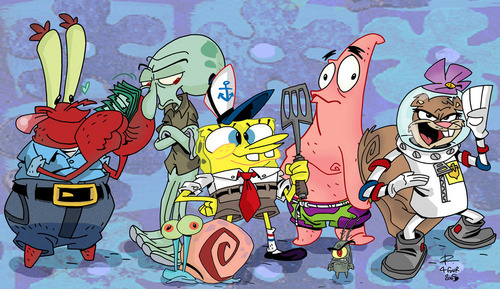 This Spongebob Squarepants fan art contains anime, comic book, manga, and cartoon. they look gansta and emo at the same time but no cuts!